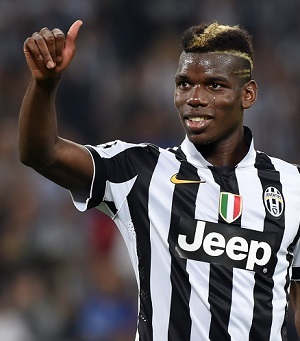 Pogba is in his third season with Juventus in Italy’s Serie A. The accolades and accomplishments have come so often on such big stages for Paul Pogba that it’s easy to forget he is only 21 years old. And yet the star midfielder for Italy’s Juventus pro club and France’s national team, a practicing Muslim, is already considered one of the best soccer players in the world with potential that is as close to limitless as the sport allows. Early into his third season with Juventus — the club he helped win two league championships in his first two years — Pogba has yet to score a goal and has just one assist through Wednesday’s schedule. But that didn’t stop Juventus goalkeeper and captain Gianluigi Buffon from handing out more high praise for Pogba this week. “Paul is a top-rate talent, and if he maintains his focus and desire to enjoy his football, he could become one of the three best French players of all time,” Buffon was quoted by Goal.com. Buffon has five Serie A championships and a World Cup title (with Italy in 2006) on his resume, so he has seen many great players cross his path and try to slip shots past him. That Pogba (who was named the Best Young Player at this year’s World Cup) has shown Buffon so much in such a short amount of time says a lot about the young phenom.